KIEV, March 10. /TASS/. Ukrainian radicals who are blocking railway traffic with Donbass said on Friday they will stop railway communications with Russia from April 2 in case their demands are not satisfied. "We proceed to the second stage of blockade. We give the government time till April 2 to revise its policy concerning trade with the aggressor country. 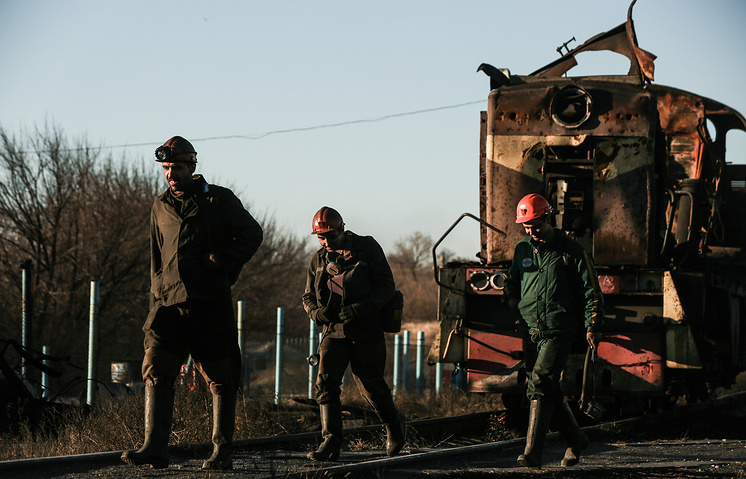 Our lookout points that have been set up at all railway cross points with Russia will begin an active phase of blockade from April 2," Anatoly Vinogrodsky, a member of the so-called volunteer battalion Donbass who coordinates actions of the radicals, said. "First of all, we will stop all coal coming from Russia," he said. On the pretext of countering contraband, Ukrainian radicals in late January blocked railway traffic with Donbass territories that are not controlled by Kiev. This move entailed serious problems with coal supplies to Ukraine and the Ukrainian authorities were forced to impose a state of emergency in the energy sector. 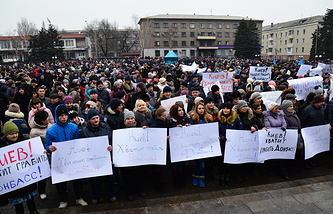 A number of Ukrainian enterprises had to halt their operation. Heat plans across the country are on the verge of closure. In early March, radicals said they planned to block railway traffic with Russia and began to mount fences at railway tracks near Konotop, a city and a railway hub near the border with Russia. 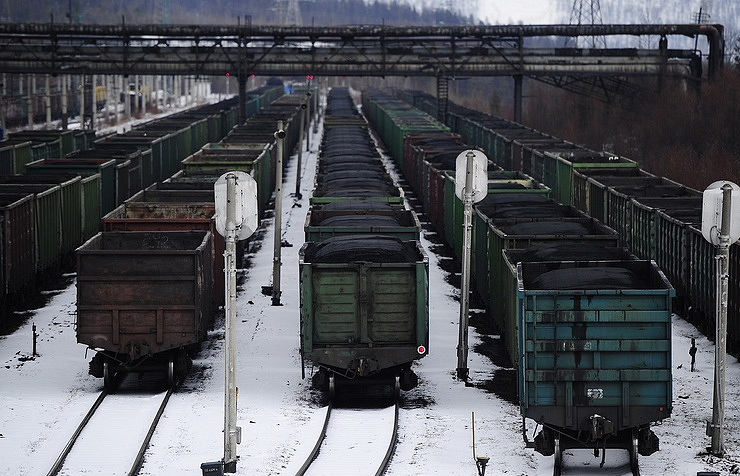 According to Ukraine’s State Fiscal Service, Russian coal accounts for about 70% of Ukrainian coal imports.